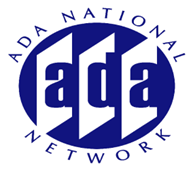 Section 223 of the 2010 ADA Accessibility Standard and the Architectural Barriers Act Accessibility Standard includes scoping provisions for medical care and long term care facilities. Presenters will engage in a more “advanced” level discussion on patient room scoping for both medical and long term care facilities, special technical provisions for parking at specialized facilities, alarm systems and toilet rooms in intensive care units, etc. Presenters will also provide an update on the Board’s rulemaking on Medical Diagnostic Equipment. Attendees are encouraged to review the previous session on this topic (http://www.accessibilityonline.org/Archives/index.php?app=4&type=transcript&id=2011-07-07) and submit questions in advance for this discussion.